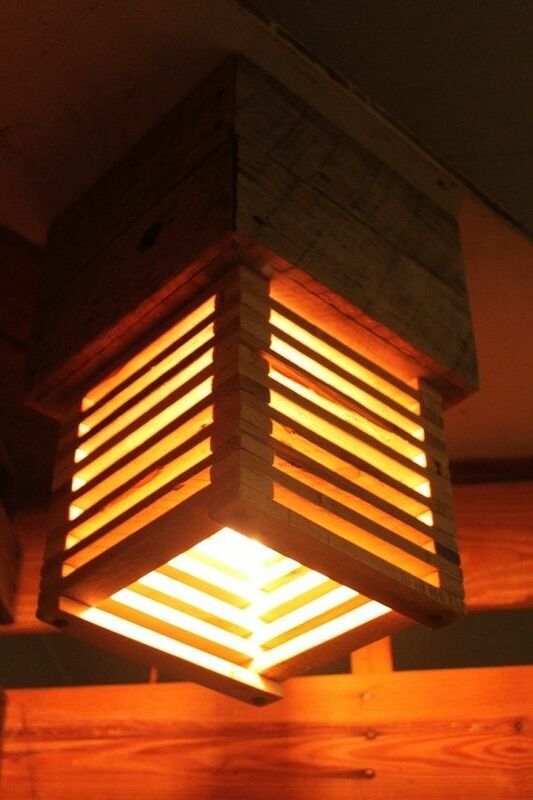 Wonderful light fixture made from broken down pallets. This fixture can be mounted to the ceiling or custom made to be a hanging light fixture. As with most of our items custom sizes can be made.